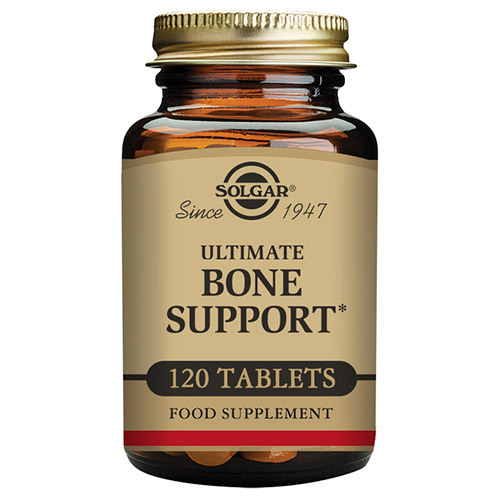 Solgar® Ultimate Bone Support is expertly formulated to provide 7 key nutrients to support bone health throughout your lifetime. Keeping your bones strong and healthy is particularly important as you get older. As you age your body loses its ability to regenerate healthy bone mass, leading to weakened bone, particularly in post-menopausal women. Bone itself is a living tissue reliant on symbiotic reactions within the body to rebuild healthy bones - old bone is broken down by osteoclasts and new bone is laid down by osteoblasts. An imbalance of either cell’s activity will result in a dominance of either bone mineralisation (formation) or bone loss (resorption). Achieving optimal bone density in the young and up to the age of 30 years is paramount for optimal bone health in later life, as after our mid 30’s, more bone is broken down than produced. Although genetics is the main influencer of bone health, diet and lifestyle factors are also major contributors. 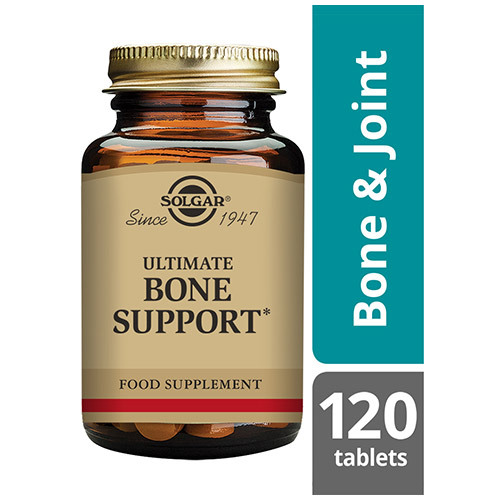 Solgar® Ultimate Bone Support contains a unique blend comprising amino acid chelates, citrates and malates, which ensure that these minerals are easy to absorb and utilised by all age groups and by those with compromised digestion. Whilst calcium is the most abundant mineral in bones, its use by the body is dependent on two other key nutrients, vitamin D and vitamin K, which are also provided in this expertly formulated complex. 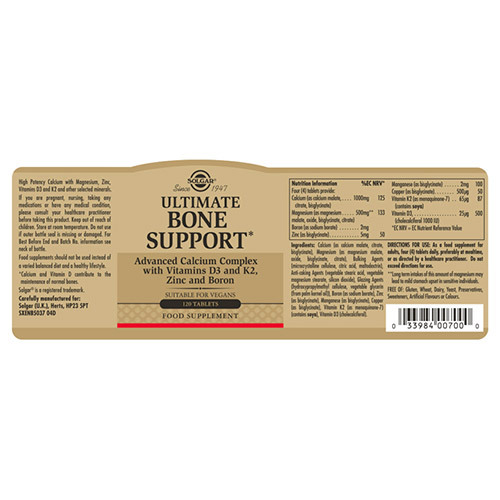 Calcium (as calcium malate, citrate, bisglycinate), Magnesium (as magnesium malate, citrate, bisglycinate, oxide); Bulking Agents: microcrystalline cellulose, maltodextrin, citric acid, Anti Caking Agents: vegetable stearic acid, silicon dioxide, vegetable magnesium stearate; Vitamin K2 (as menaquinone-7) (contains soya; Glazing Agents: hydroxypropylmethyl cellulose, vegetable glycerin (from palm kernel oil); Boron (as sodium borate), Zinc (as bisglycinate) Manganese (as bisglycinate), Copper (as bisglycinate), Vitamin D3 (Cholecalciferol). Adults: Take 4 tablets daily, preferably at mealtime or as directed by a healthcare practitioner. Long term intakes of this amount of magnesium may lead to mild stomach upset in sensitive individuals. Below are reviews of Solgar Ultimate Bone Support - 120 Tablets by bodykind customers. If you have tried this product we'd love to hear what you think so please leave a review. One of the best Calcium and Magnesium supplements I have tried - and believe me I have tried over 20 different types! Now I think it's the DiCalcium Malate that is the one that works the best (in this triple formulae) but it could also be Byglycinate. 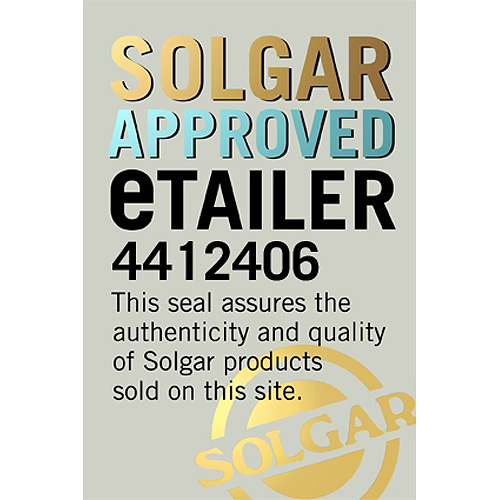 I know it's not Citrate because I have a separate bottle of those I don't take any more, also by Solgar.